Floyd Mayweather Jr. proved the boxing ring is his territory after shutting down UFC star fighter Connor McGregor in the 10th round of their battle in Las Vegas, Saturday night. Keeping his career untainted, Mayweather now has a 50-0 stainless record with 27 KOs on it. “He’s a lot better than I thought he was,” Mayweather said. “He used different angles. He was a tough competitor, but I was the better man tonight. The 40-year-old American boxer grooved to his 29 years young opponent in the first five rounds. 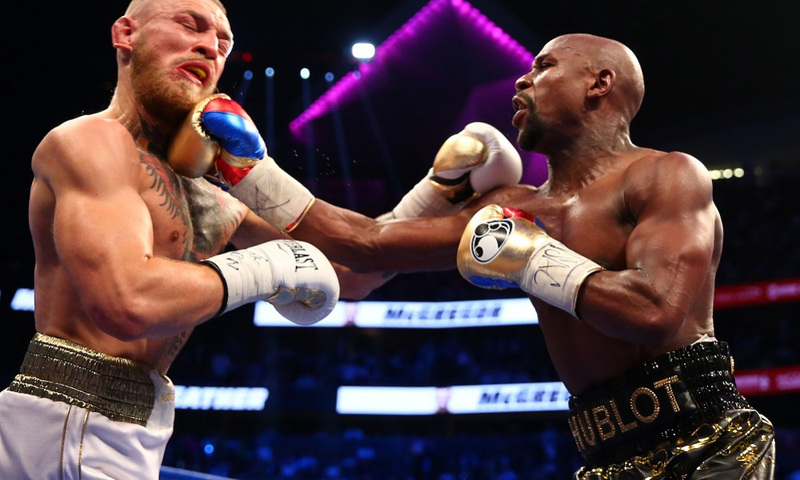 As the seventh round approached, Mayweather landed a solid left hook on the Irishman but the boxing newbie managed to retaliate on the eighth round, throwing punches of his own. As the ninth round commenced, Mayweather continued to strike McGregor but the UFC fighter survived. However, the tenth round was unfavorable for the Irishman and surrendered in TKO in Mayweather’s hands. “I took the early rounds fairly handy,” McGregor said. “I thought it was close, I thought the stoppage was a bit early, there was a lot on the line and I thought he should have let me carry on. Meanwhile, the 40-year-old said afterward the fight would be his last, before thanking McGregor.